Coinciding nicely with the 60th anniversary of the original Godzilla (or actually Gojira), director Gareth (Monsters) Edwards’ new take on the ‘King Of The Monsters’ ignores director Roland Emmerich’s ghastly shot at Americanising ‘The Big G’ in 1998 and offers, essentially, an updated reimagining (and relocating) of the 1954 Japanese classic. Complete, of course, with mega-budget FX, city-stomping spectacle, a little contemporary social messaging and (gasp!) a dash of real human drama – and not one guy in a baggy monster suit to be seen. After a prologue that warns of things to come in a mining site and depicts a disaster at a Janjira nuclear site, we pick up 15 years later (i.e. now) with military sort Ford Brody (Aaron Taylor-Johnson) forced to leave his wife Elle (Elizabeth Olsen) and son Sam (Carson Bolde) in San Francisco and once more help his obsessed Dad Joe (Bryan Cranston). Joe was at Janjira with his wife and Ford’s Mom Sandra (Juliette Binoche) in the opening scenes, and he’s been trying hard to prove that it was no accident ever since, and he and Ford are on hand when the first ‘MUTO’ (Massive Unidentified Terrestrial Object) appears. And another movie would have simply left us with a pair of these building-crunching critters, but here Godzilla, a dinosaur-type beast that’s long been secretly studied by Dr Ichiro Serizawa (Ken Watanabe), is also involved, and soon our titular star is looming up from the depths in Honolulu and later San Fran, and doing colossal battle with the shrieking MUTOs as real estate values plummet. 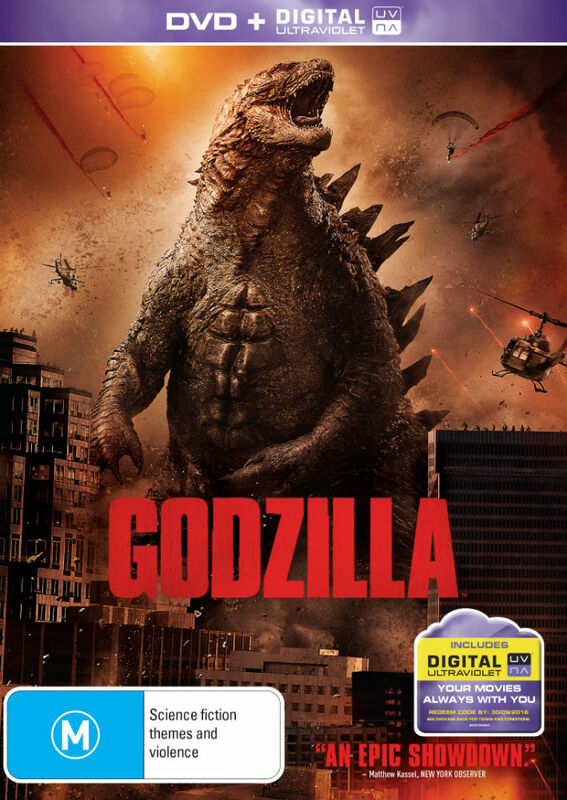 With a plot that tips its hat to not only the hallowed first film but the pantomime ‘versus’-type sequels too (as Godzilla is seen to clobber the flying MUTO and clumsily tumble into skyscrapers), while also roping in World War II, conspiracy theories, American imperialism themes and more, Edwards’ film has a slow, slightly ponderous first third and then truly kicks in with a mighty, mighty roar. 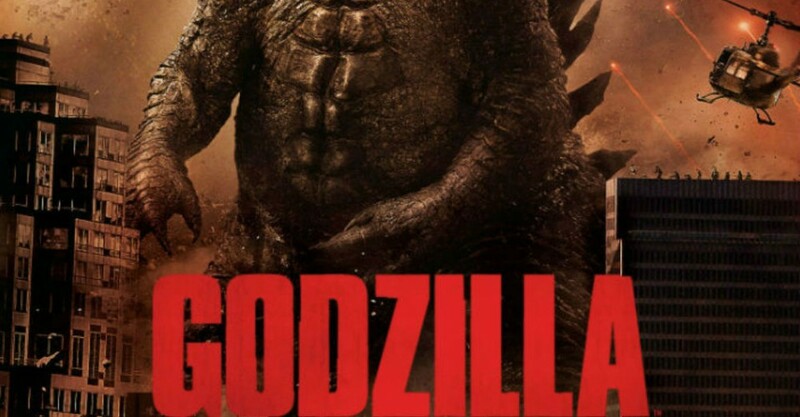 And while there’s a cast worth talking about (with Olsen and Cranston making up for an amiable but wooden Taylor-Johnson), most audiences won’t remember the performances, as this is all about the monsters, and even manages to keep the ludicrously huge Godzilla from having a proper, full-body close-up until quite late in the action – but it’s a sight worth waiting for. No wonder Olsen’s Elle looks ready to wet herself.